Poch on Kane's absence: "We have enough players to cover that place and it will not change our approach." Tottenham boss Mauricio Pochettino has ruled out a move for free agent Giuseppe Rossi, who has been training with former club Manchester United. Spurs have been linked with a move for Rossi due to Harry Kane's ankle injury which appears to leave Pochettino's side desperately short of attacking options. Heung-Min Son is away on international duty with South Korea at the AFC Asian Cup, leaving Fernando Llorente as the club's only recognised senior striker, with Pochettino having declared that Vincent Janssen is not part of his future plans. 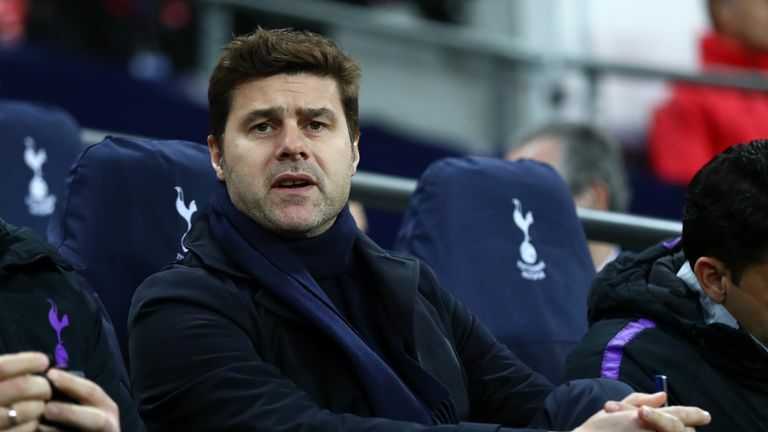 Asked about speculation that Rossi could be a solution to the striker crisis, Pochettino said: "There are many names that appear in every transfer window. "I think he is another name to add on the list but it is only a rumour. We have not considered him." Pressed on whether or not there was any truth in Tottenham's reported interest in Rossi, Pochettino said: "It's a rumour like another but if you ask me, I think no, it's not a possibility." Kane is an absentee for Tottenham's visit to Fulham, live on Sky Sports Premier League on Sunday, and the Premier League's joint-top scorer also looks set to miss crucial league showdowns against Chelsea and Arsenal in coming weeks. Tottenham manager Mauricio Pochettino says their January transfer plans remain unaffected despite Harry Kane being ruled out until March. Pochettino says Kane's recovery is progressing well and he is convinced he will find a way to manage without the England captain. "He is very positive," Pochettino said of Kane. "Of course we are going to see the time for full recovery, but that's always an easy thing with Harry because he is a very positive person. "We are in the same way positive that we can cope with the situation. We have enough players to cover that place and it will not change our approach." Llorente has yet to score in the Premier League this season and Pochettino refused to confirm if the former Spain international will lead the line in Sunday's London derby at Craven Cottage. Pochettino said: "I think that it is normal that we are thinking about giving him the opportunity to play and start on Sunday. "Of course it is in my mind. I still have not decided the starting XI but it is one of the possibilities we have in mind."